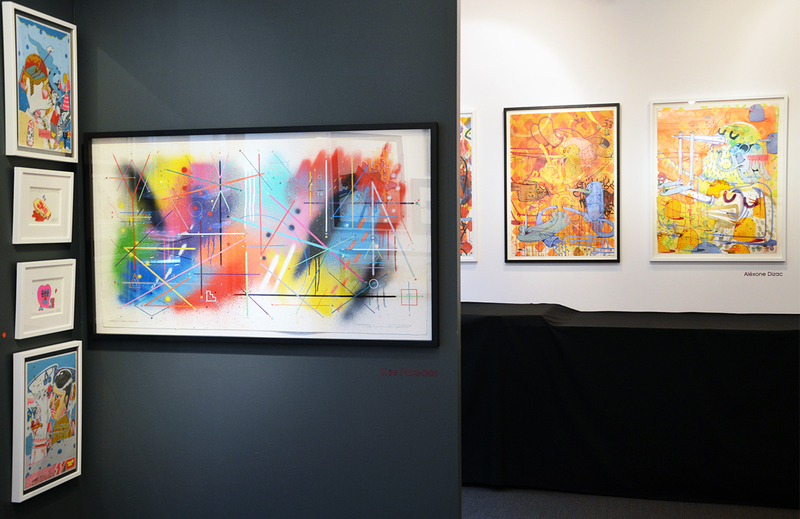 Freshly opened Richard & Le Feuvre Gallery in Geneve, Switzerland, introduced their work to the local art lovers with an inaugural group show titled Paper Party 2. 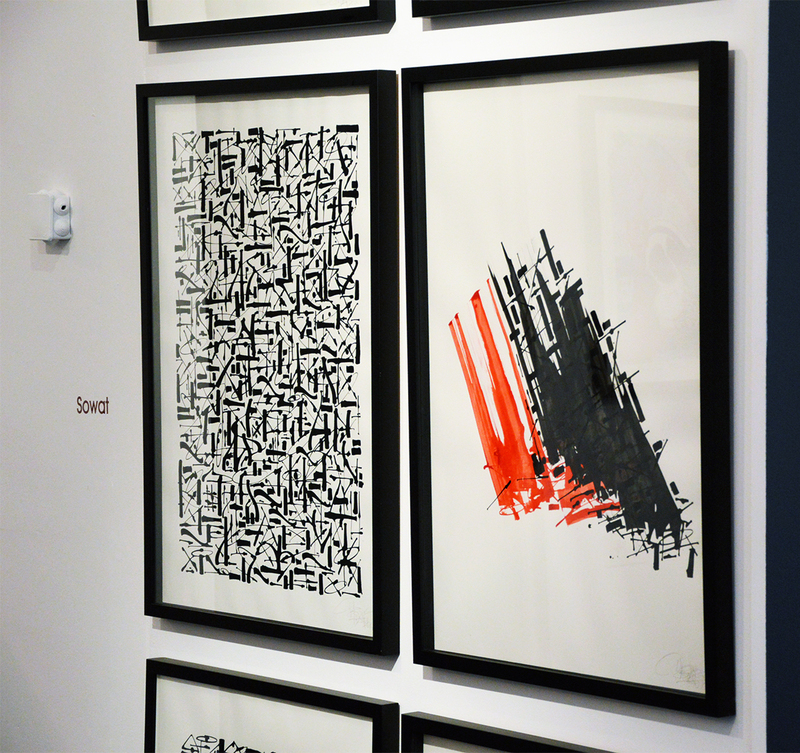 Combining works by eleven artists from five different countries, this large show featured about 50 original works on paper that will stay on view until the end of the year. 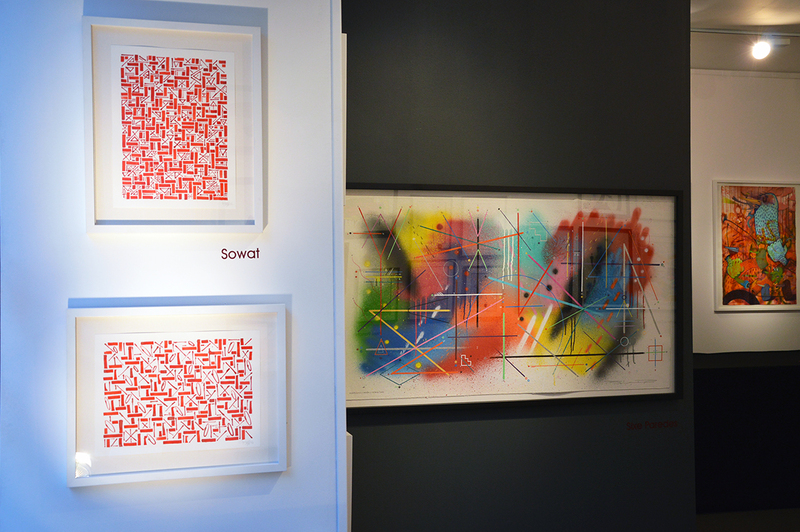 For this exhibition, the gallery brought together artists that they consider as some of the more interesting that contemporary urban art can offer at the moment. 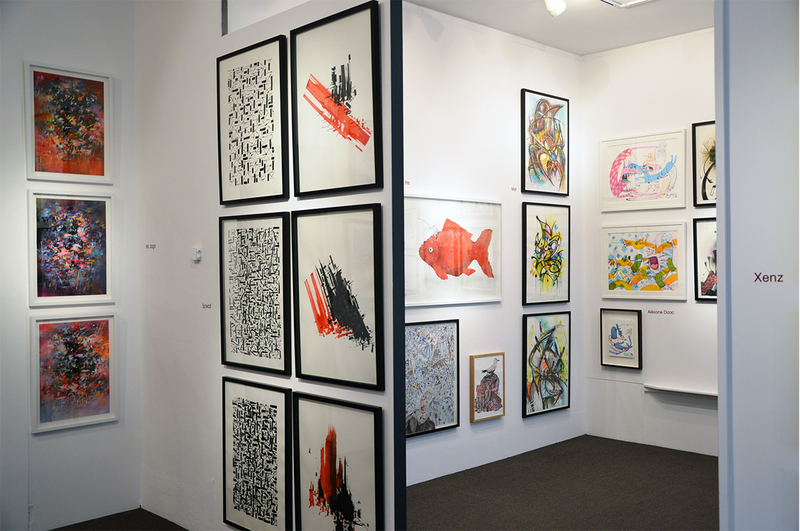 Ranging in styles, the display of works includes everything from abstract paintings from Mr Jago or Sixe Peredes, calligraphy pieces by Sowat, to quiet and tranquil works by Xenz, or poetic illustrations by Ella & Pitr or Pixel Pancho. 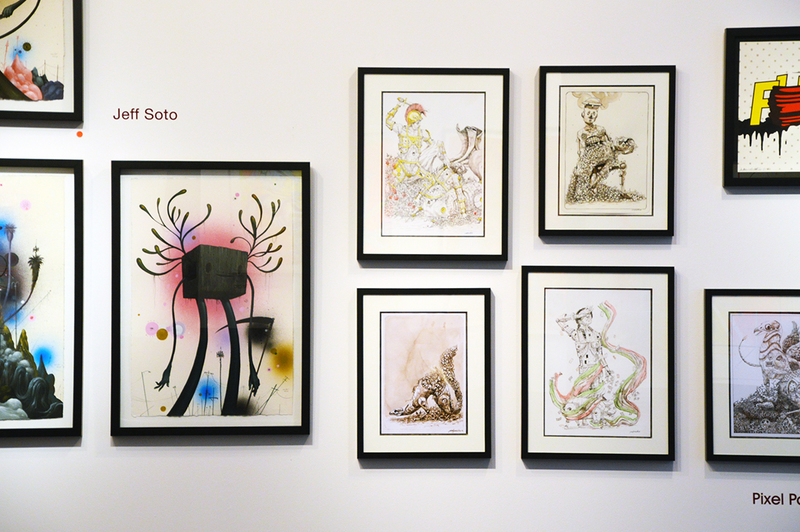 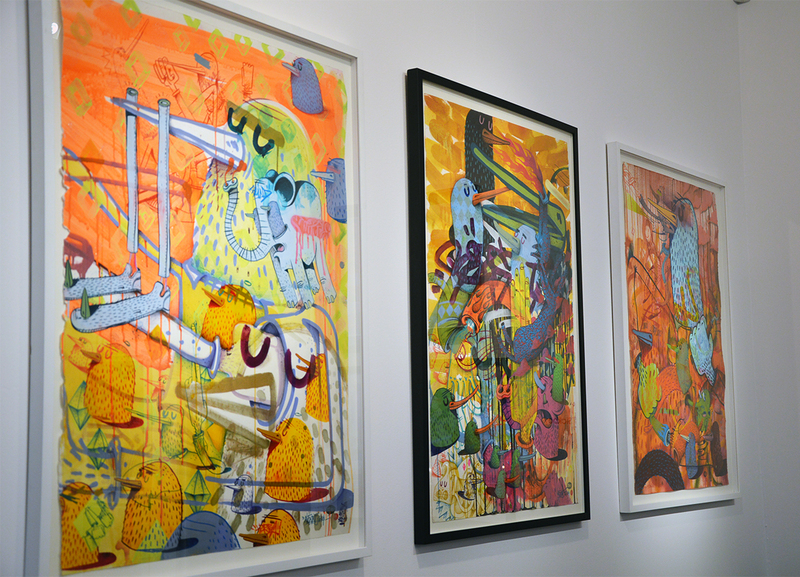 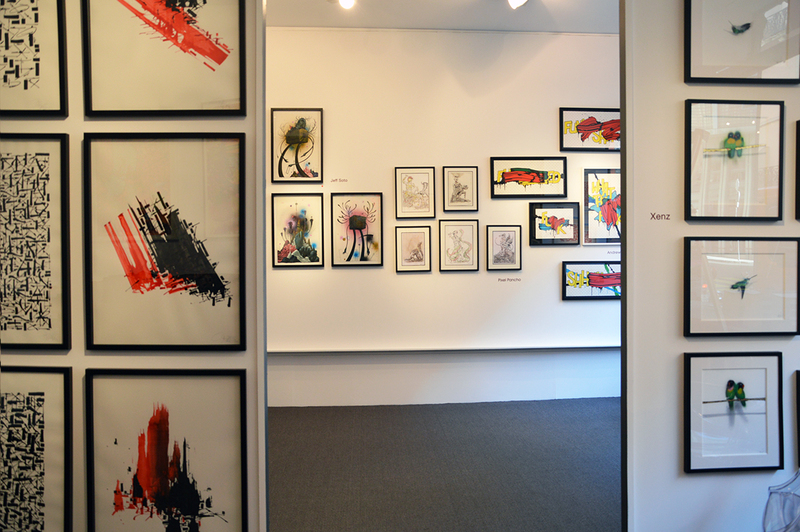 Many of these artists never exhibited together, so the event was unique chance to see the playful cartoon like imagery of Alexöne Dizac next to Jeff Soto‘s surrealist works, or legendary French graffiti artist Mist, or UK’s Sickboy, showing along with the pop explosions of Andrew McAttee. 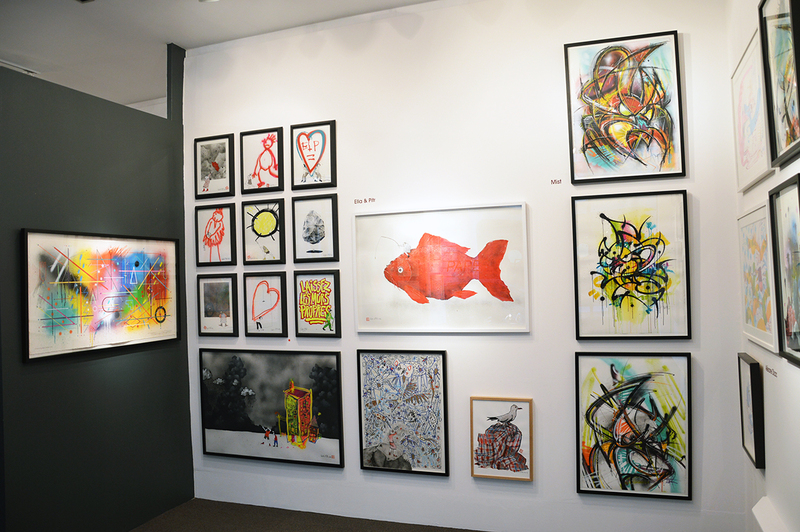 Categories: Contemporary Art, Low Brow & Pop Surrealism, Openings, Shows & Events, Street & Urban Art. 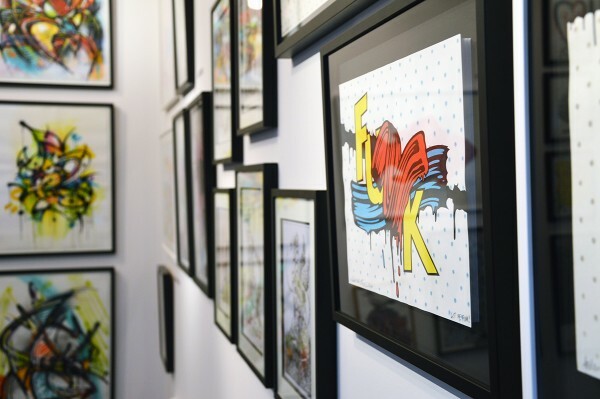 Tags: Alëxone Dizac, Andrew McAttee, Contemporary Art, Ella & Pitr, Geneve, Jeff Soto, Low Brow & Pop Surrealism, Mist, Mr. Jago, Openings, Pixel Pancho, Richard & Le Feuvre Gallery, Shows & Events, Sickboy, Sixe Paredes, Sowat, Switzerland, Xen.